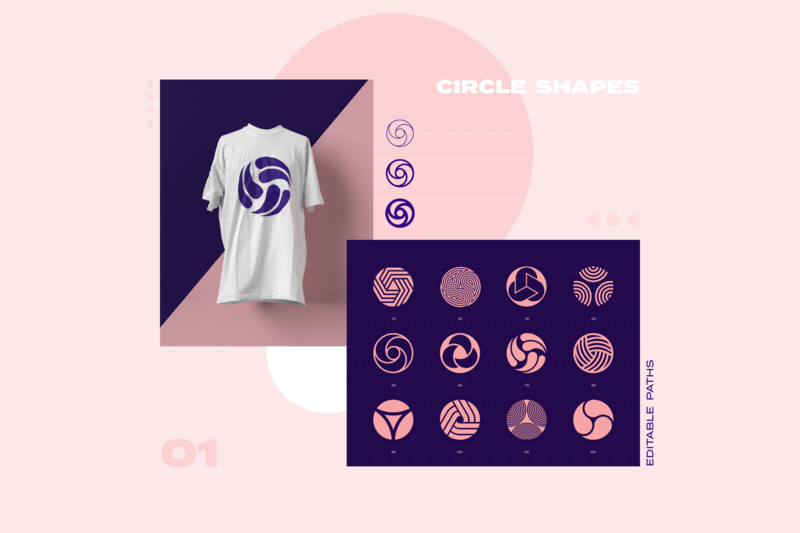 This set is an extensive collection of 96 Geometric shapes & logo marks inspired by the enduring power of clean, crisp and universally symbolic design language. 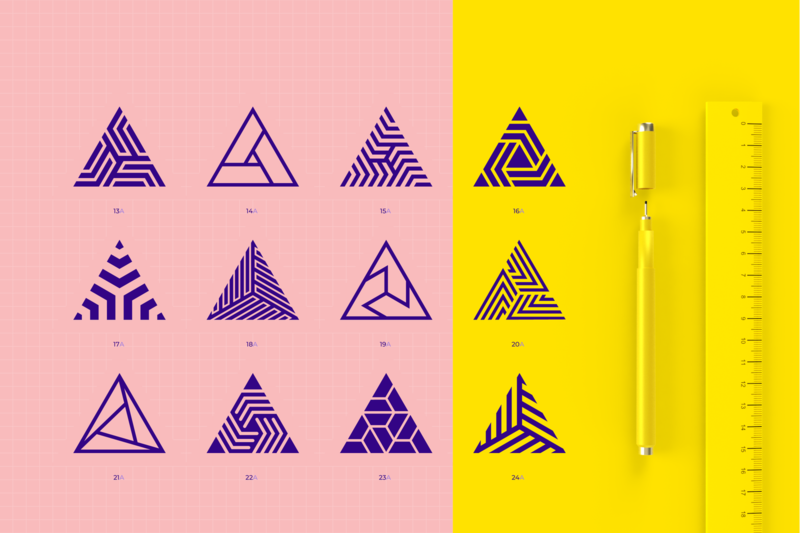 The next time you are tempted to design a logo, take a look at this thoughtfully handcrafted library of logo marks. 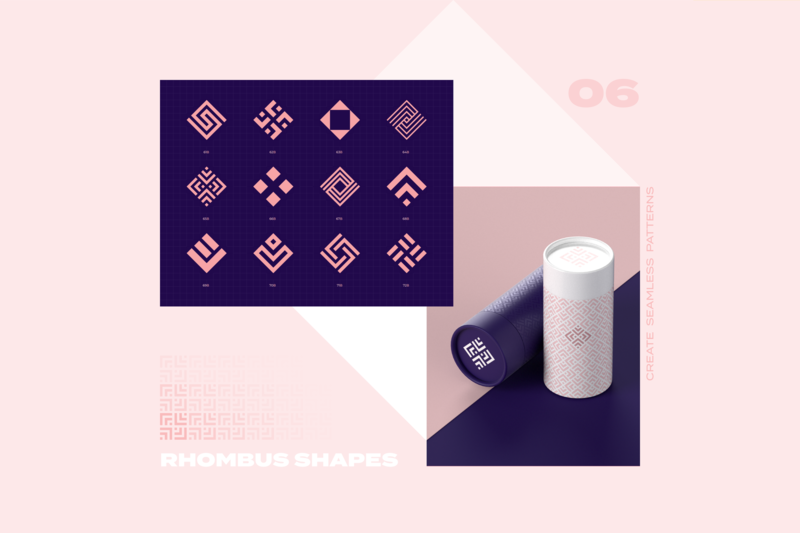 This unique collection of 96 geometric shapes is an excellent resource for both beginners and professionals in graphic design and identity systems, as well as for anyone interested in geometric visuals and design elements. 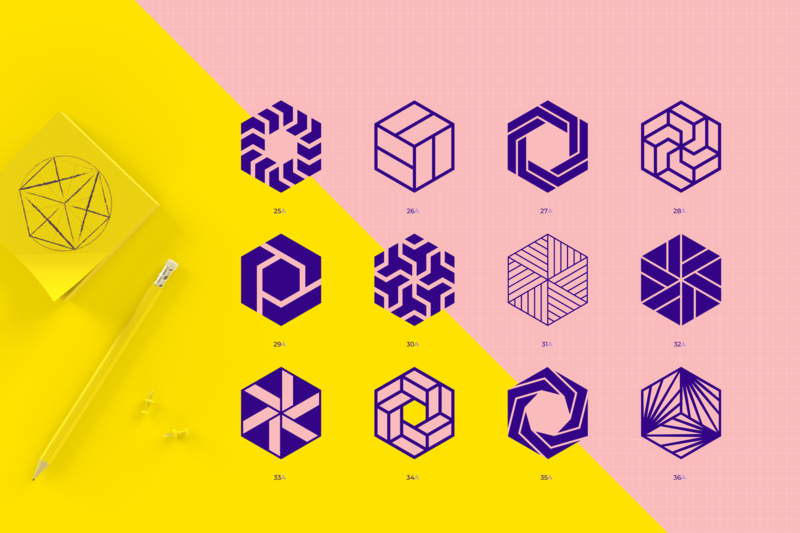 All files are neatly organized into a folder structure for better workflow experience. 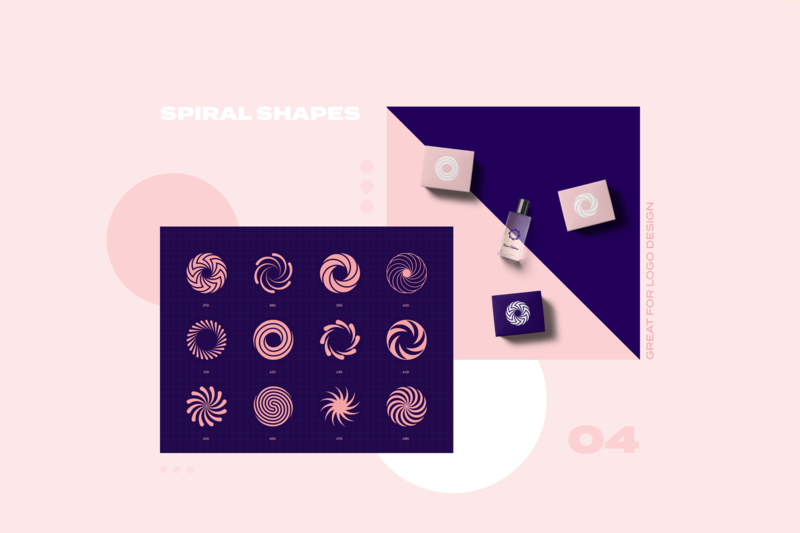 Shapes are grouped according to their graphic style and basic forms, such as a circle, triangle, spiral, hexagon, star, rhombus, and square. 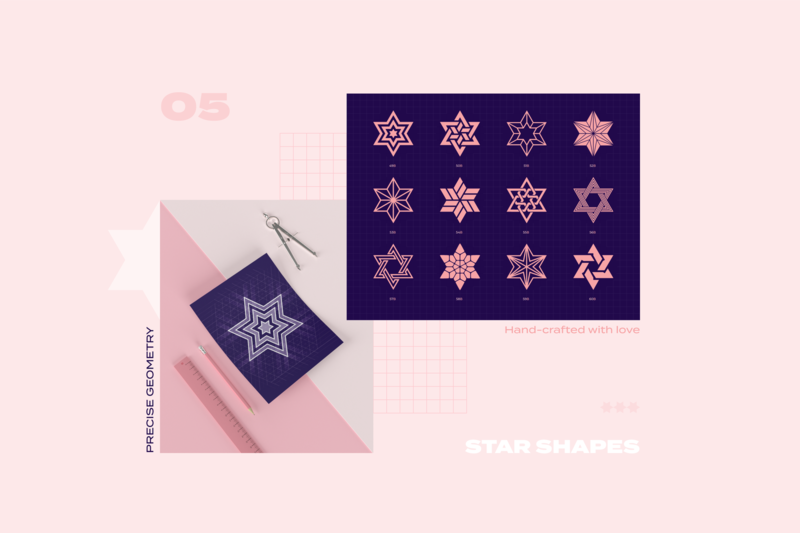 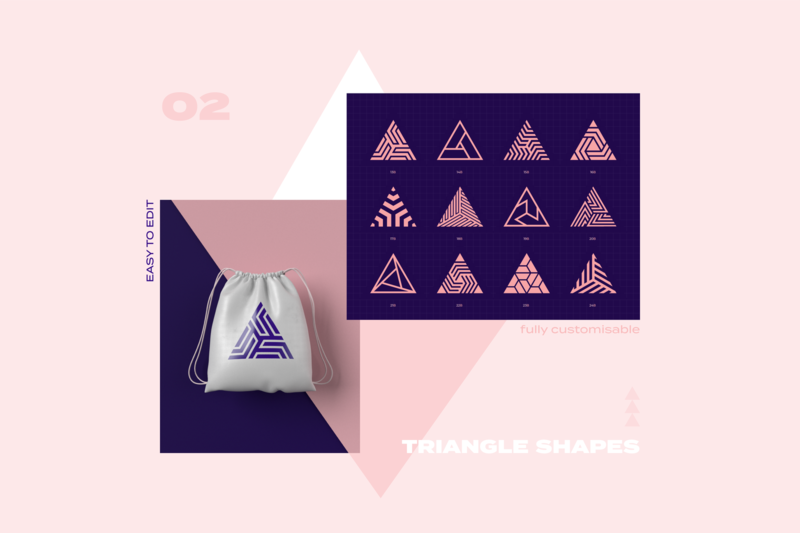 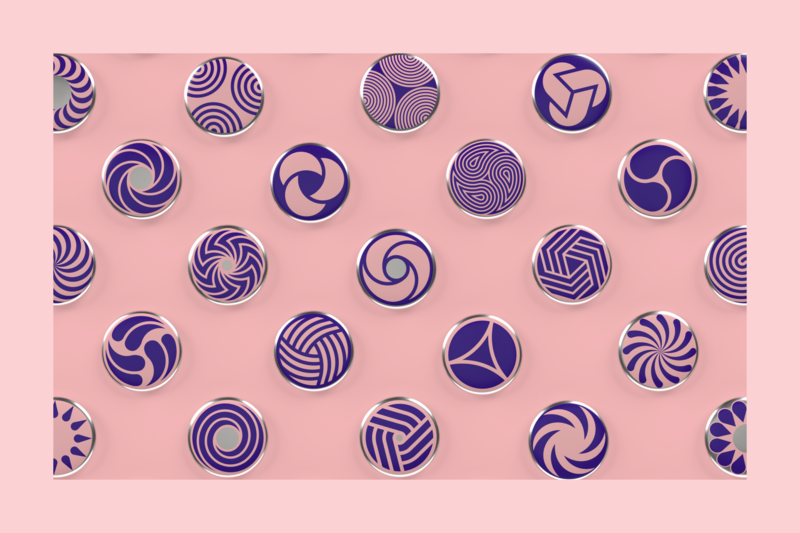 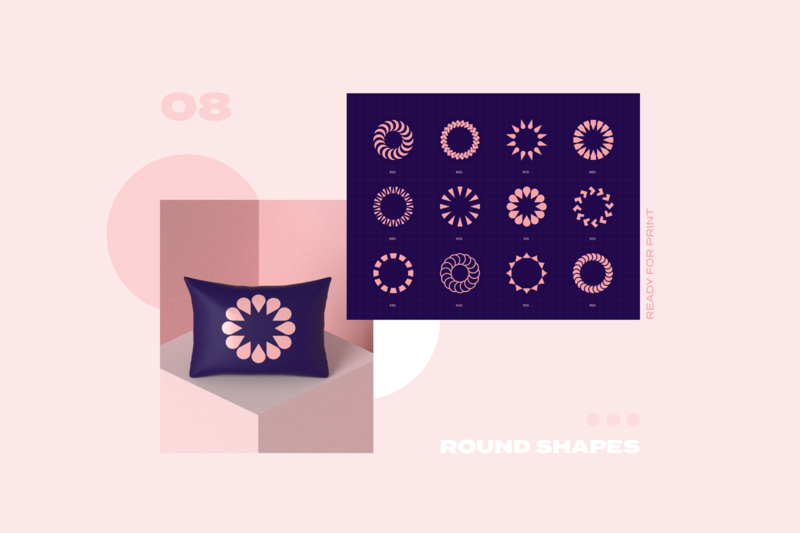 To emphasize the visual form of the shapes, they are shown predominantly in pale pink and navy blue colors, but you can apply your own palette and add your brand name in a few clicks. 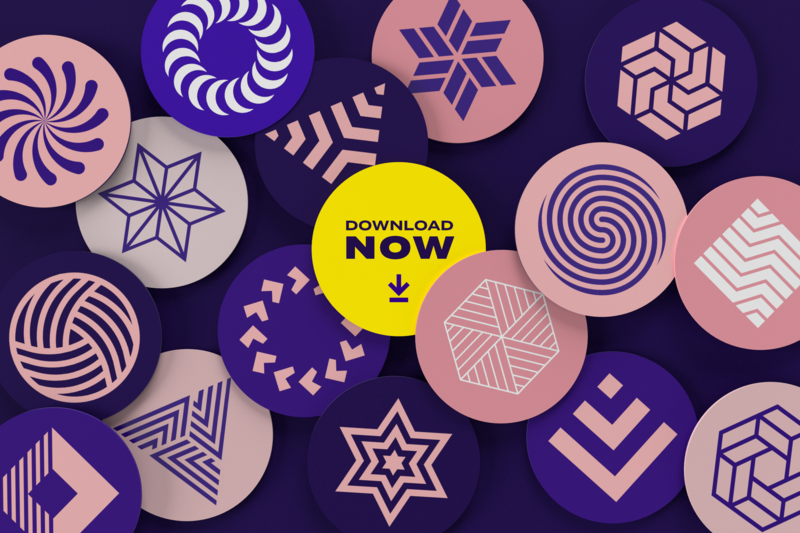 All elements come in a variety of file formats for you to choose from. 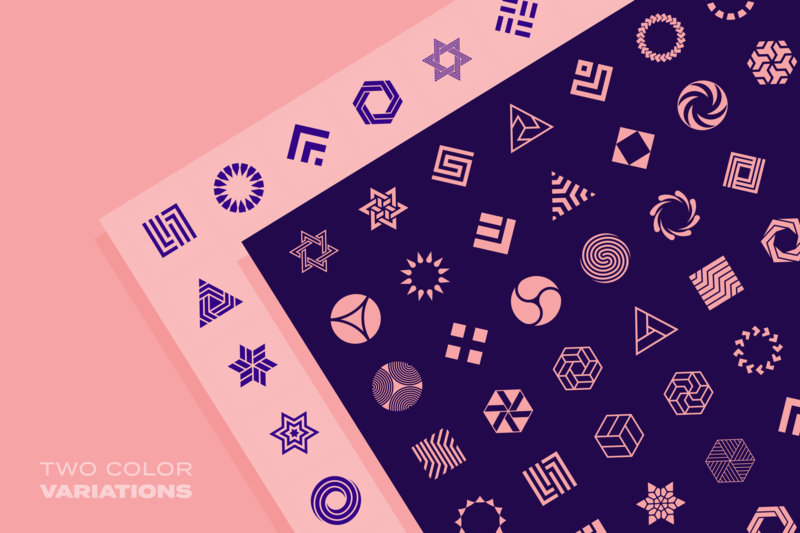 • 192 JPG files – 96 shapes in two color options. 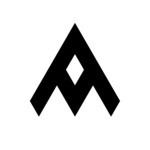 High-resolution 5000×5000px files are compatible with any graphics editing and presentation software. 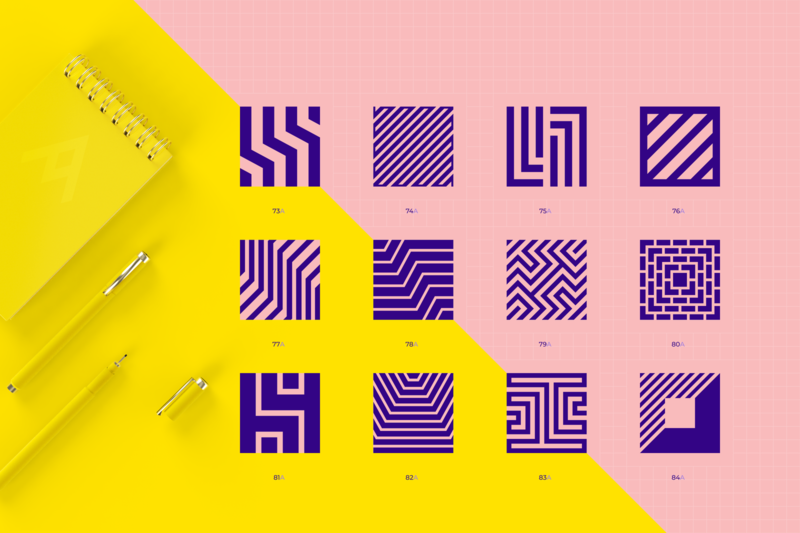 • 288 PNG files – 96 shapes on a transparent background in three color options. 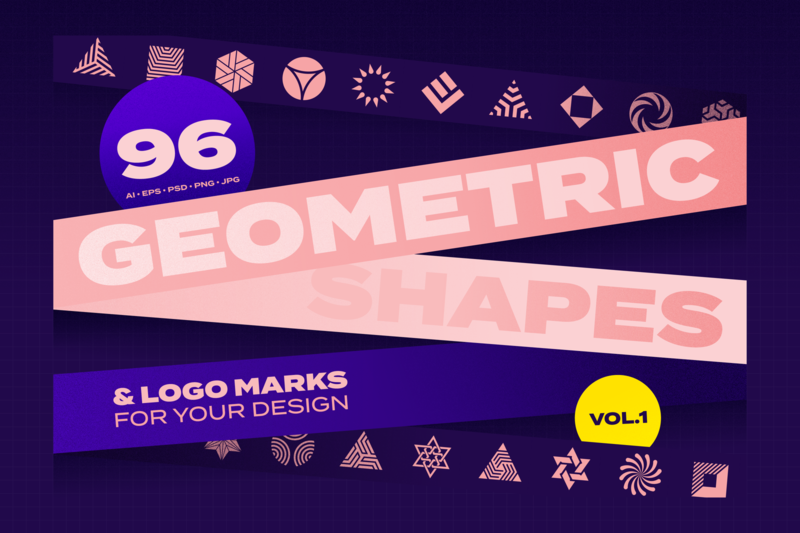 • 96 PSD files – 96 shapes as lossless “vector smart objects” in layered Adobe Photoshop files. 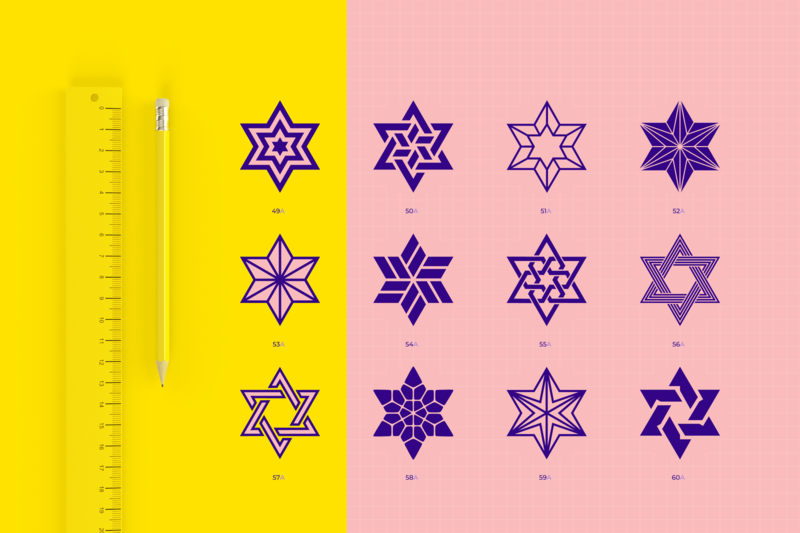 Colors and elements are easy to modify. 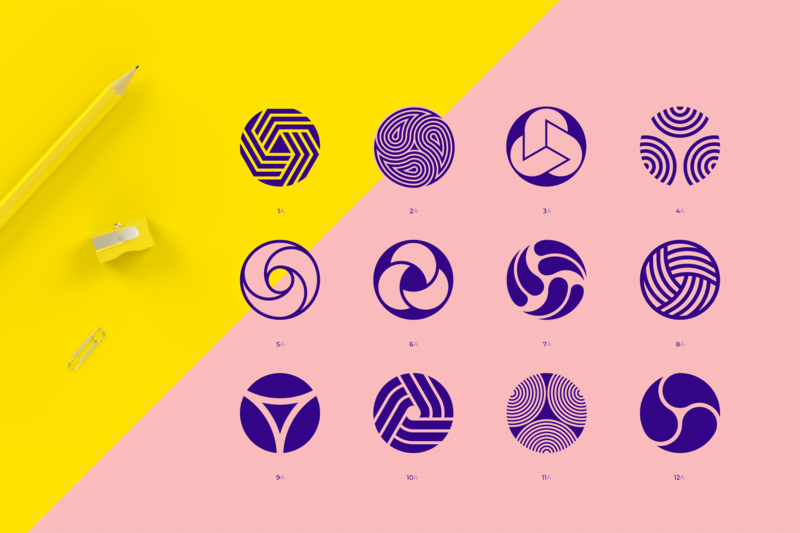 • 18 AI files – All shapes are divided into groups based on their color and graphic style. 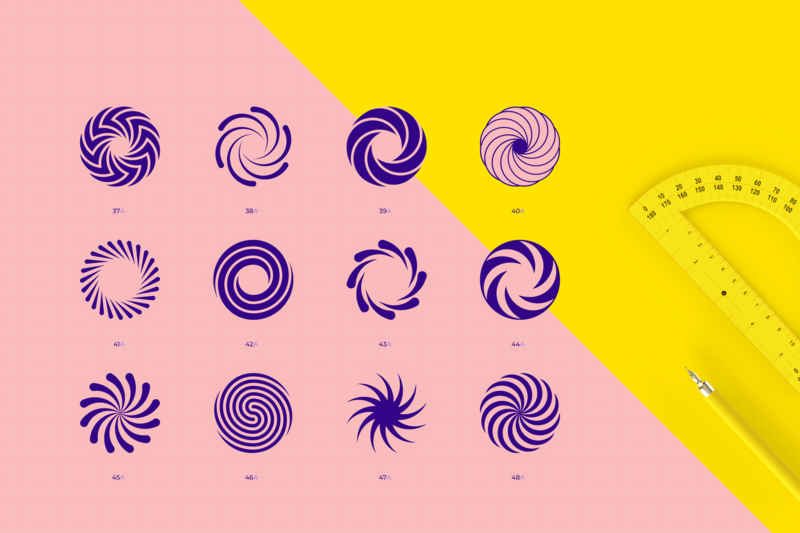 Elements come packed in 18 master files compatible with Adobe Illustrator CS5 and later. 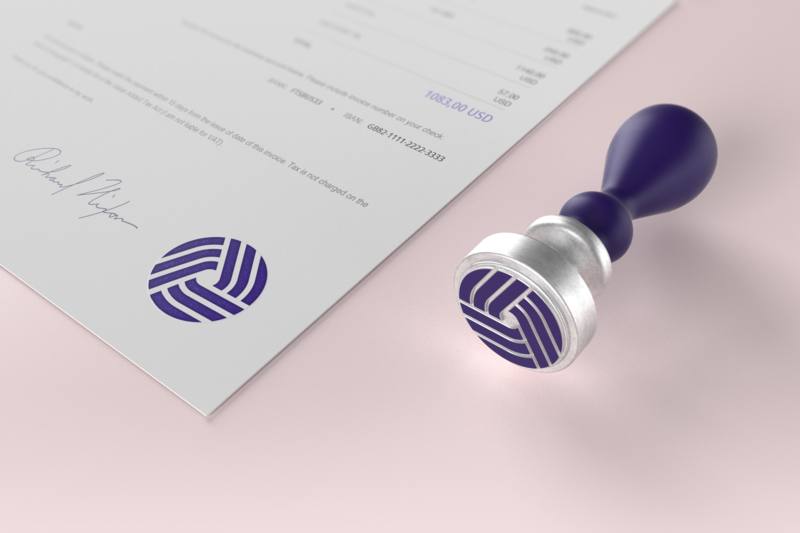 Stroke weight control and vector scalability will ease your workflow of the designing process. 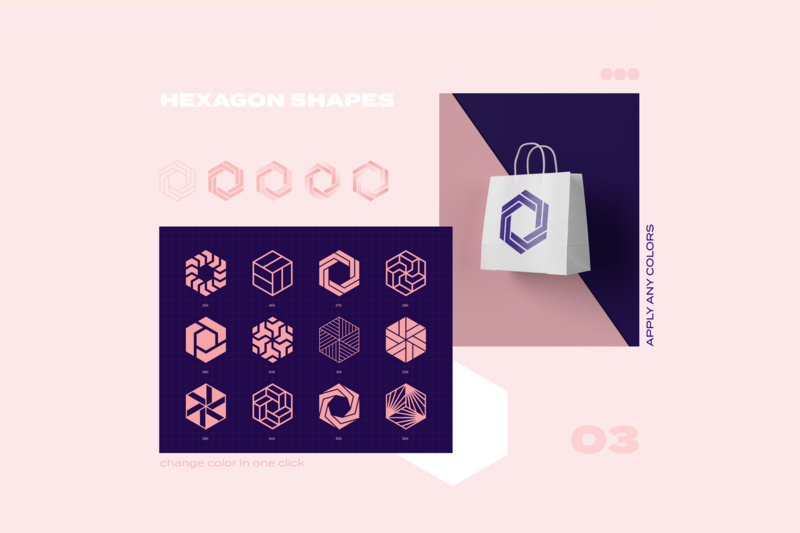 • 192+18 EPS files – 96 separate shapes in vector format and two color options + 18 catalogs with all 96 shapes and groups in a single file. 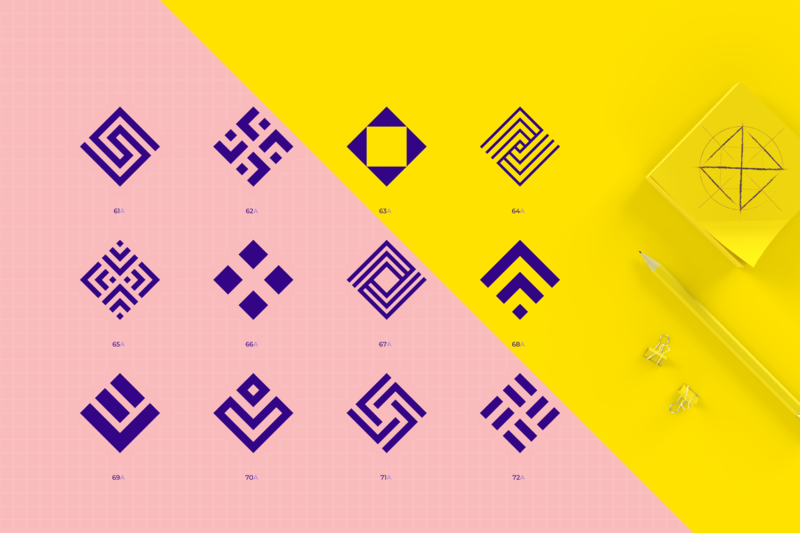 Easy to adjust colors, add text, transform and scale infinitely without losing image quality. 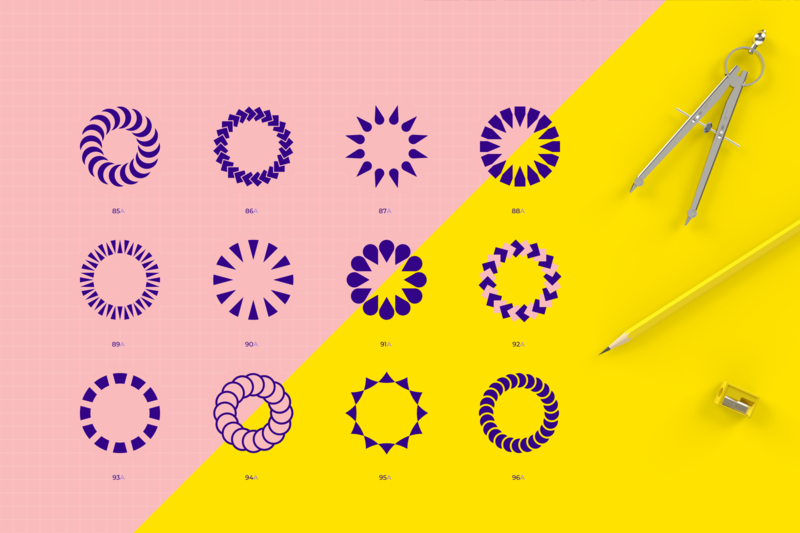 All strokes are expanded for better compatibility with popular vector graphics software such as Adobe Illustrator, Affinity Designer, Sketch, Corel Draw, and others. 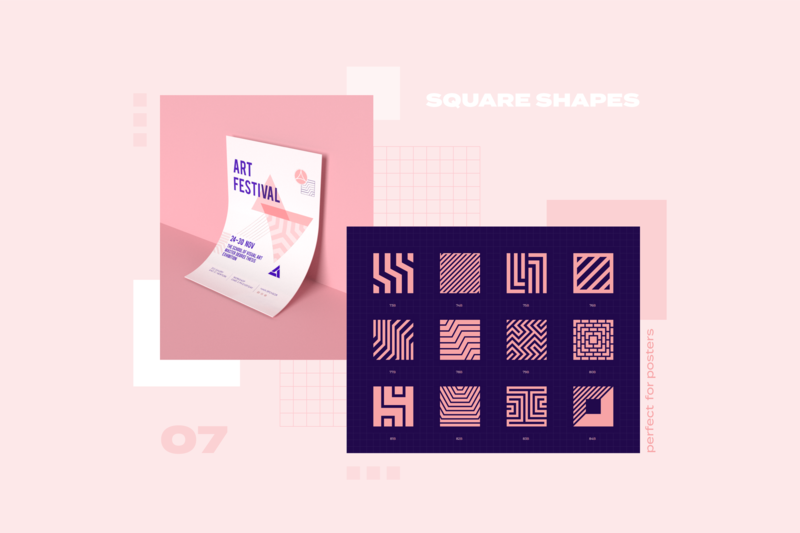 • Well organized layer and file structure – shapes categorized by visual type. 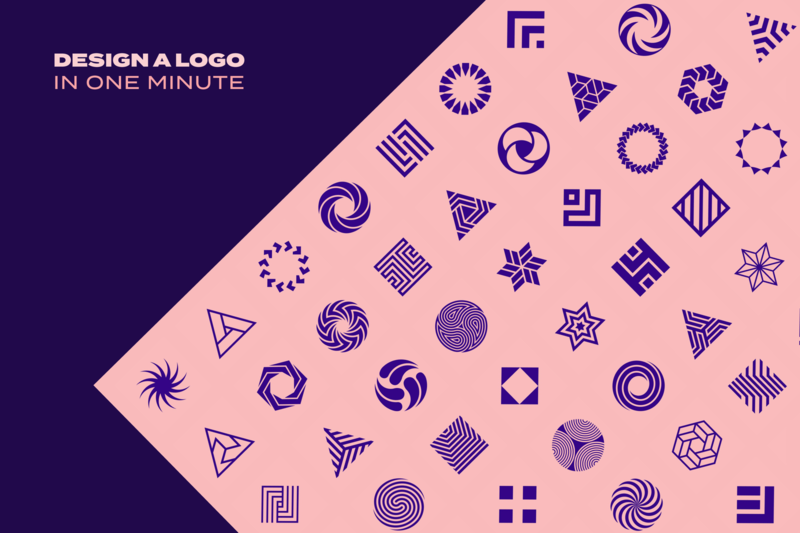 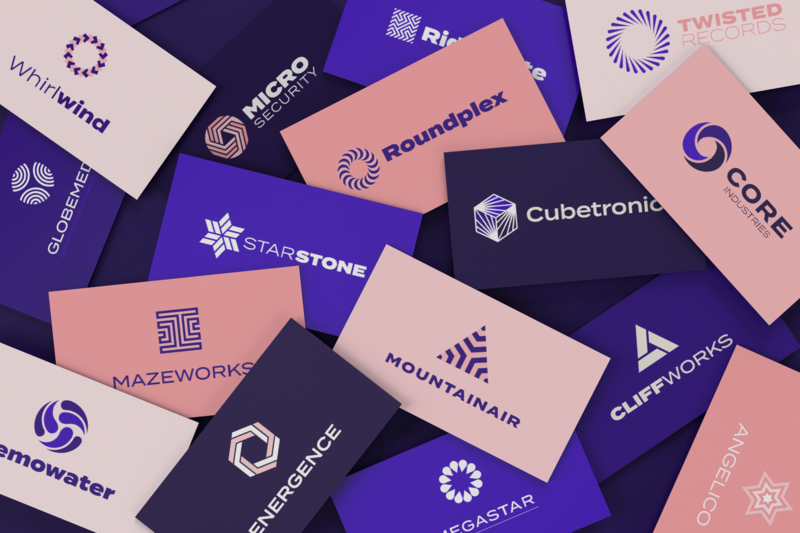 Develop an iconic brand identity with this robust collection of 96 Geometric shapes & logo marks and enjoy these timeless designs for a variety of projects.